City walkability with suburban space and luxury! This beautifully updated, light-filled home with high end finishes boasts over 5000 square feet of livable space, plus a two car attached garage. 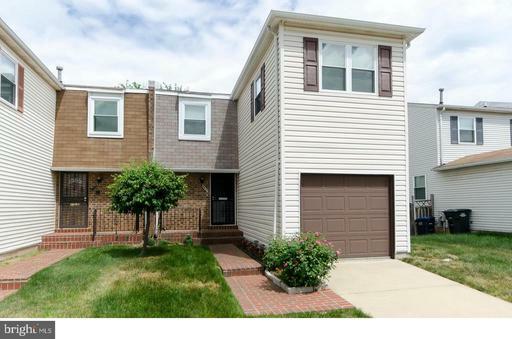 Enjoy new hardwood floors throughout, a chef~s kitchen with granite countertops and all-new new stainless steel appliances, 7 generously sized bedrooms, and 5 full baths. After strolling back from metro or one of the many local restaurants Menomale, Primrose, Masala Story, Tastemakers, Brookland~s Finest and Salumeria~just to name a few!, sit and relax by one of the cozy gas fireplaces or gaze out of the large picture windows with views of the Capitol Dome, Washington Monument and the Basilica of the National Shrine. Who said you can~t have it all? Easy to show! 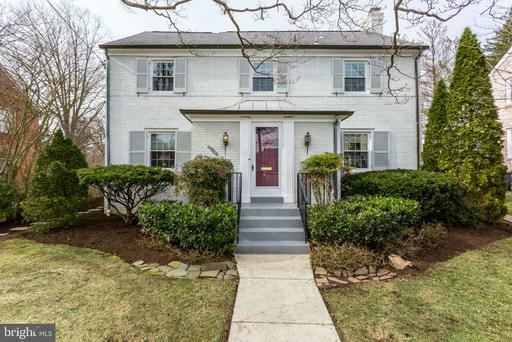 Carefully maintained colonial house with impeccable original craftsmanship on beautiful and private lot in Chevy Chase. Elegant entry foyer leads to generous and private formal living and dining rooms. The large family room in the back includes a brick fireplace, and floor to ceiling sliding doors to delight your senses enjoying the private backyard and personalized landscaping. Countless unique features include crown molding, original hardwood floors, abundant natural light, a 2-cars driveway, two fireplaces, double pane windows, a French drain system, pantry and lots of extra storage space. 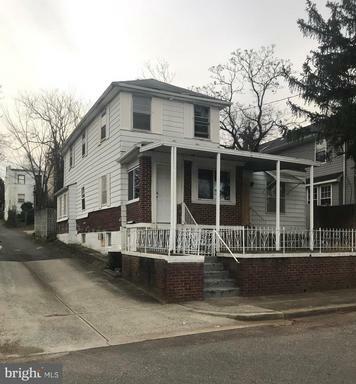 With 3 bedrooms and two bathrooms upstairs and a separate large lower level with one bedroom and one bathroom, this house has plenty of space for guests or an au pair. 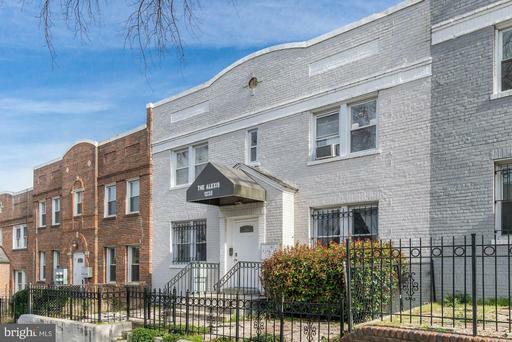 With a separate certificate of occupancy, it also offers the possibility to rent the basement for extra income.The property is part of the vibrant Rollingwood Citizens Association,and provides quick and easy access downtown DC through the scenic Beach Drive and Rock Creek Parkway. 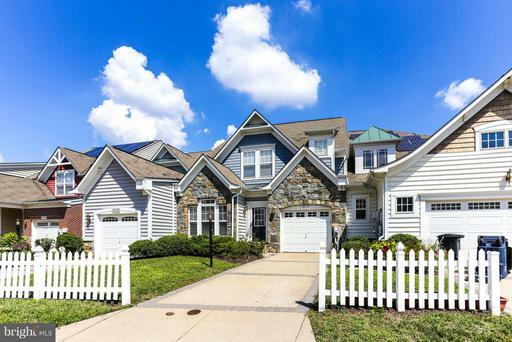 Surrounded by parkland and trails included Pinehurst Parkway Park, Rock Creek Park, and Meadowbrook Local Park~ Minutes to Brookville shops, Chevy Chase Village and Friendship Heights Metro~ Lots of restaurants, shops, entertainment and recreation options only minutes away~ Downtown DC, downtown Friendship Heights and downtown Bethesda are only a short drive away. Elegant brick colonial house, recently renovated. Relax in the front porch, enjoying the quiet neighborhood feel, or in the expansive and flat backyard, ideal for outdoor entertaining. The main level features an open concept, and a gourmet kitchen with carefully selected finishes, including stainless steel appliances, quartz countertops and top of the line cabinets. A separate dining room, and a living room with a cozy marble fireplace round up the main level. The original curved staircase leads to the upper level with 3 secluded bedrooms, and 2 tastefully renovated bathrooms. The versatile basement includes a full bedroom and bathroom, private laundry area, a family room, and a separate game room. An additional storage room in the basement, and off street parking are some of the bonus features. This beauty is ready for a new owner! 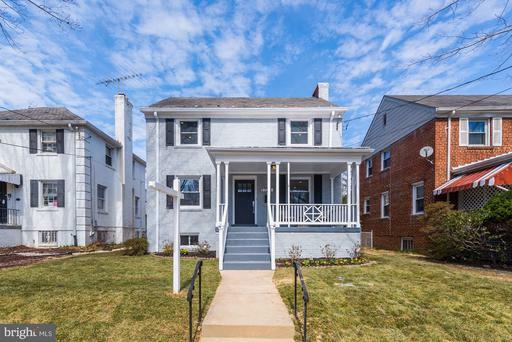 Classic meets modern in this 2-level Clifton Heights condo. 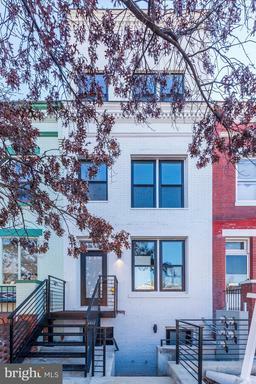 Located in Columbia Heights, this 2 BR, 2BA gem boasts windows on all four sides and a gorgeously outfitted kitchen. The living room features a gas fireplace, framed by an antique, two-tiered mantle that is the center piece of the room. Make sure to check out all of the closets, en suite master bath and in-unit laundry. Take the spiral staircase up to the solarium featuring floor-to-ceiling built-in bookshelves providing the perfect space for an office or reading nook. Continue out to your private rooftop deck with birds nest views of the city. Separately deeded, off-street parking space conveys with unit and cost is included in the $666/mo condo fee. Need more space? This stately, light-filled semi-detached home has nearly 4,000 square feet to enjoy. Designed with todays modern living in mind, this home also boasts an open floor plan, high ceilings, chefs kitchen with a large center island, and a spacious master suite with 3 closets, double vanity and separate tub and shower. The spacious first floor rec room is the perfect play area or gathering spot for home movies, and is large enough to add two additional full-sized bedrooms. Outdoors, you can dine al fresco on the oversized deck or lounge in the fully fenced yard with off street parking. Just steps to Zekes Coffee, Good Foods Market and dining hotspot Momo Yakitori. Welcome Home! This beautiful new renovation is ready for immediate occupancy! 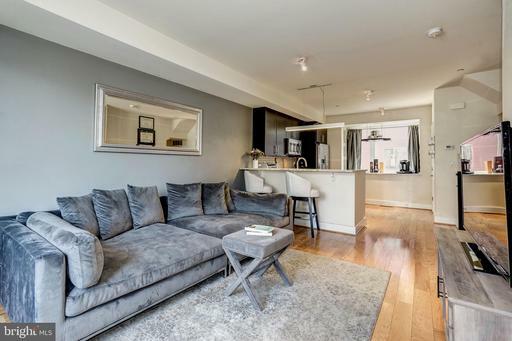 Spacious and bright, this top floor duplex offers turn key finishes in a prime location. Two bedrooms and two full bathrooms with rain water shower and quality finishes. Skylights, hardwood flooring, recessed lighting, stainless steel gourmet kitchen with gas range cook top and quartz counter tops. Laundry is convenient with the in-unit stackable front loading washer and dryer. Unwind on the private balcony or the private rooftop terrace with wetbar. 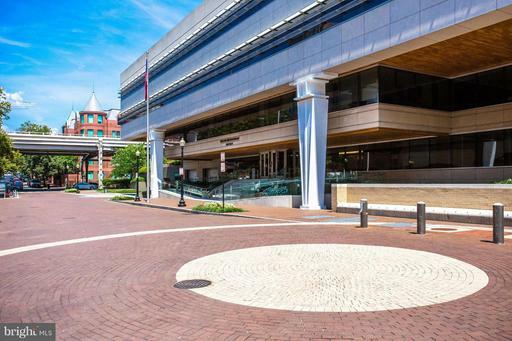 Conveniently located just steps from the H Street Corridor with tons of eateries, entertainment, and ample public transit. Private parking available for purchase. Ask us about the No Closing Cost incentive!! 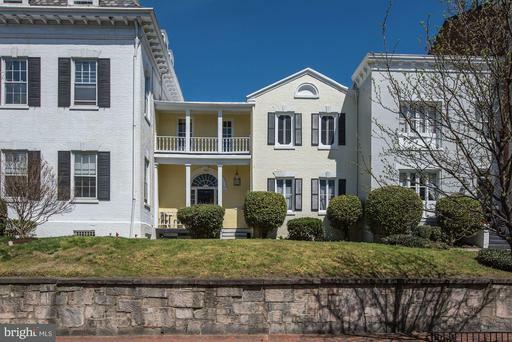 Unique opportunity to own in the heart of Georgetown. 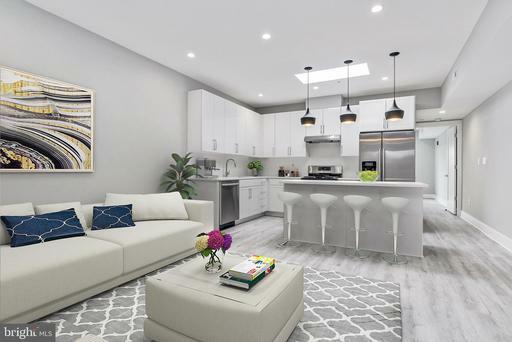 This gorgeous 1 bedroom checks all the boxes, including a large parking space, newly renovated kitchen, fireplace, built-in shelves, private balcony, hardwood floors, in-unit washer and dryer, large bedroom with extra closet space and a spa-like bathroom. The prime location puts you just a few steps away from the best restaurants and shops in town, while feeling private and secluded in this historic mansion sitting on a hill in a beautiful tree-lined street. With approximately 600 SF, this unit is larger than many 1-bedrooms in the area. Low condo fee, only $325 a month. Dont miss this rare opportunity! 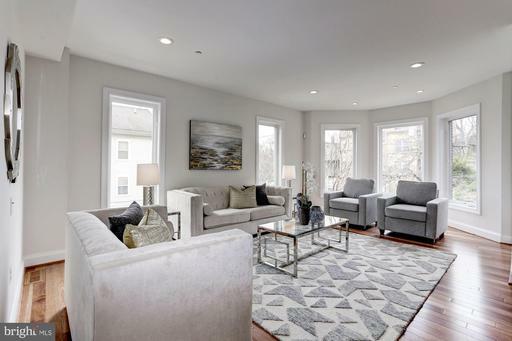 Uniquely large 5-bedroom 3-bathroom with 1-car garage semi-detached house in Brookland with all the bells and whistles. Come home to a beautiful front lawn, driveway and private 1-car garage, and enjoy the comfort of this renovated house. The basement is set up as an in-law suite with independence from the rest of the house, including a full bathroom, and access to the private backyard. The main level includes an updated kitchen, with stainless steel appliances and large living and dining areas. The top floor includes 4-bedrooms with 2 full bathrooms offering tons of natural light and spacious rooms for extra living space. Dont miss it! Welcome Home! This beautiful new renovation is ready for immediate occupancy! Spacious and bright, this unit offers turn key finishes in a prime location. Two bedrooms, and two full bathrooms with rain water shower and quality finishes. Hardwood flooring, recessed lighting, stainless steel gourmet kitchen with gas range cook top and quartz counter tops. Laundry is convenient with the in-unit stackable front loading washer and dryer. Unwind after a long day on the private patio. 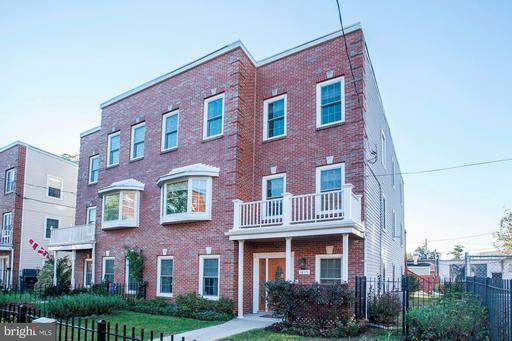 Conveniently located just steps from the H Street Corridor with tons of eateries, entertainment, and ample public transit. Private parking available for purchase. Beautiful renovation! 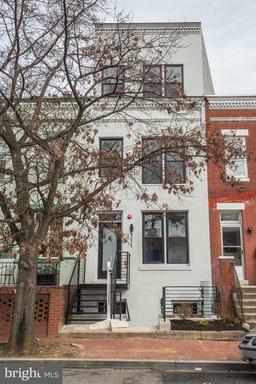 2 bedroom 2 full bath condo in the H Street Corridor! 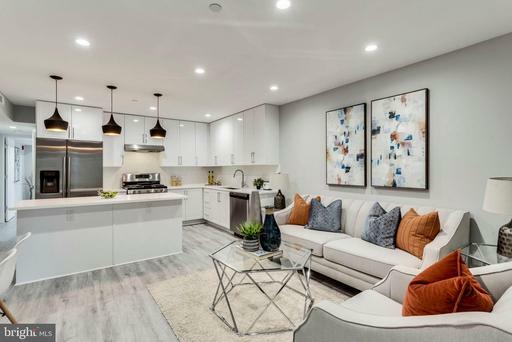 Spacious and bright, with open floor plan, chefs kitchen with stainless steel appliances with gas range cook top and quartz counter tops and rich hardwood floors, and low condo fees! Enjoy quiet evenings on the private rear patio or the common rooftop terrace with monument views. Ideally located close to multiple eateries, and shopping. Ample street parking and public transit with multiple bus routes near by. Welcome Home! This beautiful new renovation with private entrance is ready for immediate occupancy! Spacious and bright, this first floor unit offers turn key finishes in a prime location. One bedroom, den, and two full bathrooms with rain water shower and quality finishes. Hardwood flooring, recessed lighting, stainless steel gourmet kitchen with gas range cook top and quartz counter tops. Laundry is convenient with the in-unit stackable front loading washer and dryer. Unwind after a long day on the private patio. Conveniently located just steps from the H Street Corridor with tons of eateries, entertainment, and ample public transit. Private parking available for purchase. Ask us about the No Closing Cost incentive!! Lovingly maintained 2-level villa in sought after 55+ community, Victoria Falls. Featuring main lvl master suite, 2nd bedroom, 2 full baths great rm. Vaulted ceilings upper loft leads to 3rd bed/bath w/ bonus storage rm. Spacious eat-in kitchen w/ granite c-tops. Move in and enjoy the amenities including community center, pools, fitness center, walking paths plus many classes and activities. Ready for Prime Time! Fully renovated all brick 1,485 sq ft amazing one level ranch style home on a half acre lot features a spacious living room with wood-burning fireplace, three bedrooms, two newly-renovated full baths, and large family room. The star of the show is an open concept kitchen with large island with eat-in bar, gorgeous quartz counters, soft close kitchen cabinets, and all new four piece stainless steel appliances. All of the following are brand new: HVAC system, roof, electrical and plumbing, windows and doors, ceiling fans, hardwood and ceramic tiled floors, carpet, front loading washer and dryer, and tankless water heater.Enjoy the convenient attached carport with large wrap around driveway. This beautiful home, move in ready. No detail was spared with this completely renovated home. Quiet country living at its finest. Just minutes to parks, rec center, Costco, Target, and other amenities. Appealing semi-detached charmer awaits your touch to revive its innate character and charm. 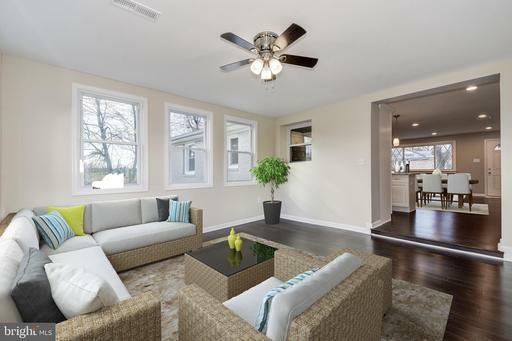 On the main level is a generous living room with hardwood floors, a formal dining room, kitchen and back family room. Head upstairs to see the 3 good sized bedrooms and full bathroom ready for your finishes, or step downstairs where the lower level features a spacious rec room, another full bathroom and a laundry/utility room. The tour continues as the potential of the backyard is as large as the yard itself, offering you plenty of space for off street parking, or to use your imagination and creativity to create your very own urban oasis just steps from Oxon Park or Martin~s Caf~. 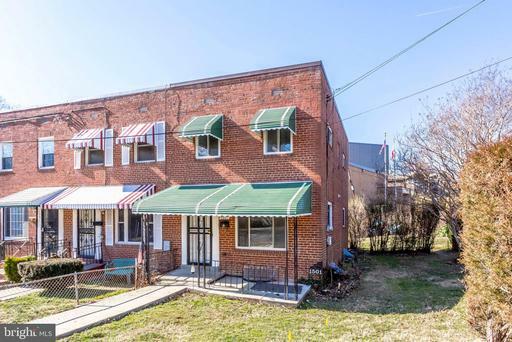 Come visit this charming 2 bedroom 1.5 bathroom condo in the hot Trinidad Neighborhood of DC. Top floor unit of a secured 4 unit building. Needs a little TLC, great for an investor looking for a property in the city. 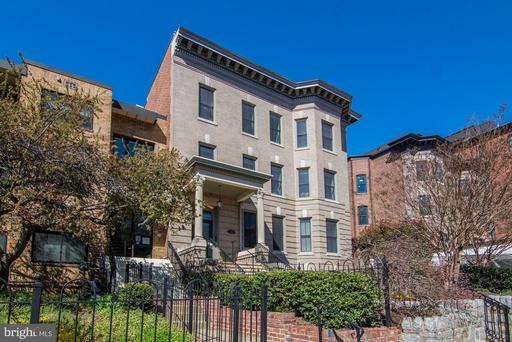 Walking distance to Union Market and the H Street Corridor - Trader Joes, Whole Foods and all the great neighborhood hot spots are just a few extra steps away. 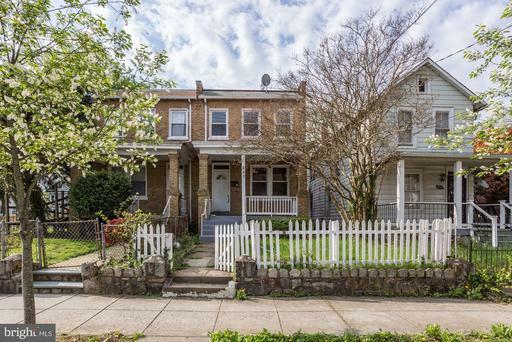 Dont miss the opportunity to own an affordable property in one of the trendiest neighborhoods in DC! Tree-top treasure flooded w/ glorious natural throughout! Beautiful 1 BR unit w/ spacious LR w/ HW floors, renovated Kit w/ ss appl granite, large BR w/ WIC. renovated full bath. In-unit laundry. Skylights. Fabulous walkable neighborhood! 3 blocks to Georgia Ave w/ restaurants, groceries, more. Pet friendly non-smoking building.